At that time you mentioned how much you liked my stationery. I had it made here in Los Angeles. Please pardon the delay in replying to your last letter, as you understand it was owing to my trying to get adjusted again. 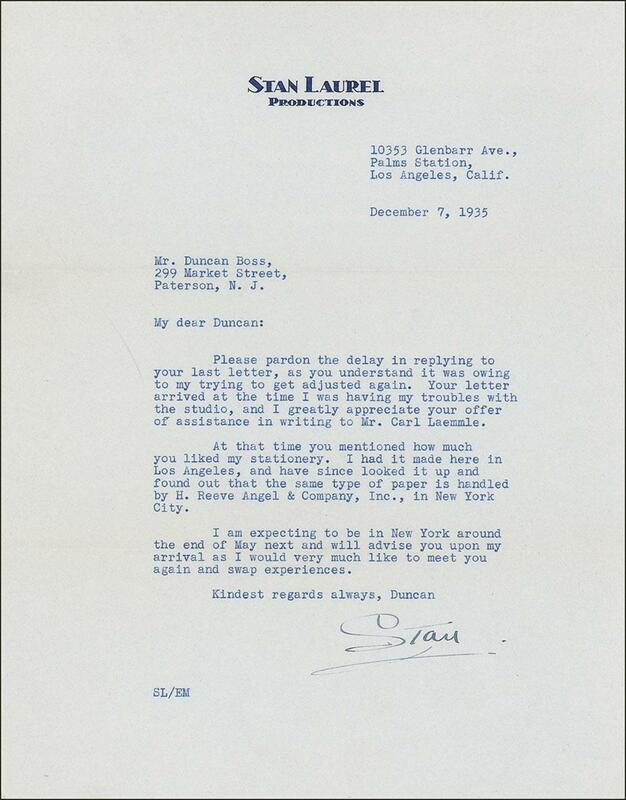 Your letter arrived at the time I was having my troubles with the studio, and I greatly appreciate your offer of assistance in writing to Mr. Carl Laemmle. At that time you mentioned how much you liked my stationery. I had it made here in Los Angeles, and have since looked it up and found that the same type of paper is handled by H. Reeve Angel & Company, Inc., in New York City. I am expecting to be in New York around the end of May next and will advise you upon my arrival as I would very much like to meet you again and swap experiences.